6.2' LCD screen clear resistive touch panel and sleek flat design. With the variable colour option you can change the colour of the keys to match your cars dashboard lighting. 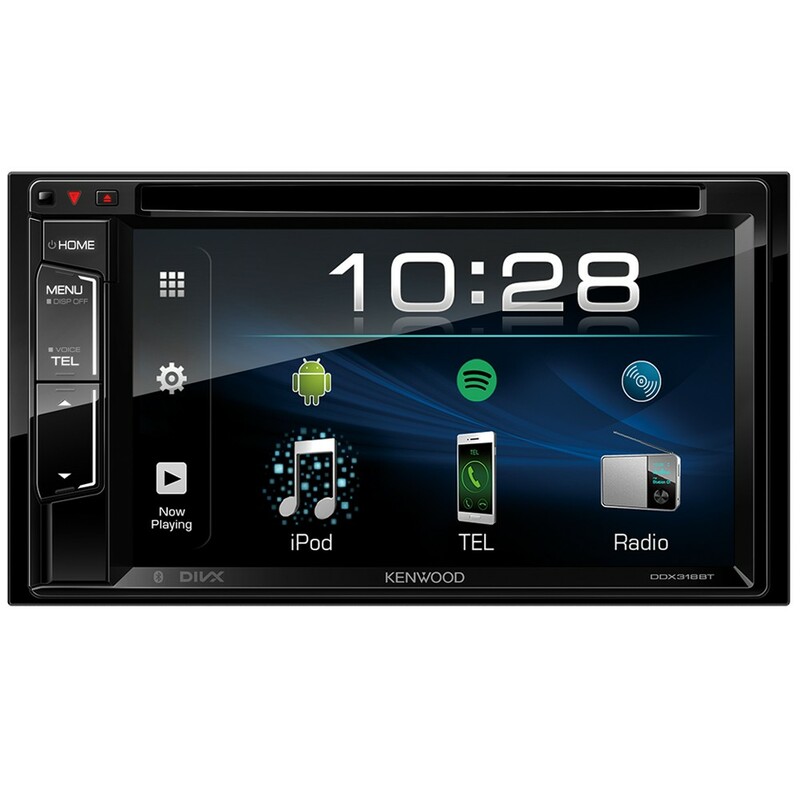 When paired for Bluetooth audio streaming, the DDX318BT includes the latest technology (AVRCP 1.5) which allows full music browsing, via the touch screen menu or voice activation (e.g. Siri / Hey Google). There is no need to interact with your phone in the vehicle. Also the DDX318BT can be paired with up to 5 phones for streaming so you and your friends can effortlessly play DJ on your journey. Love Spotify? Got the App on your smartphone? Simply connect your Android or iPhone to the DDX318BT and you can now control the app via your head unit. Listen to albums, artists, songs, and playlists from your Spotify Music. Play Spotify Radio, or browse new releases in total safety in the driving seat. 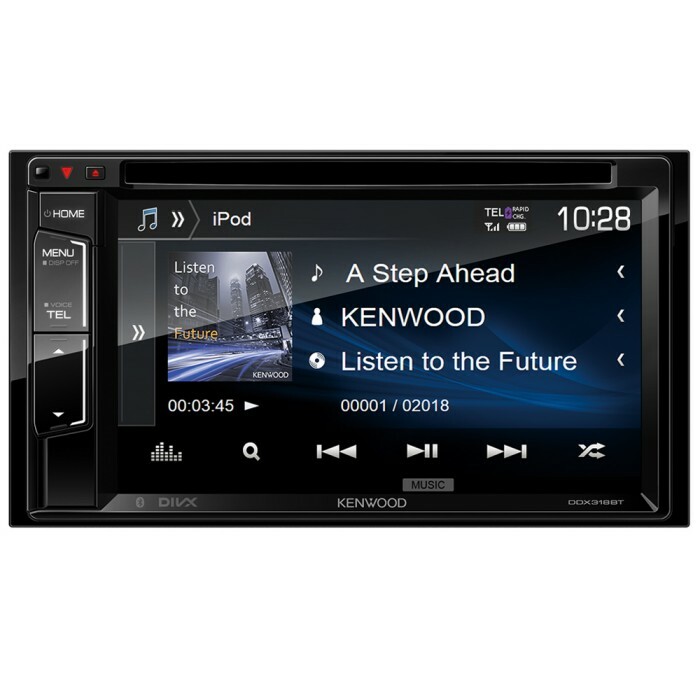 Connect up your Apple or Android smartphone via the phones USB lead and access and control your music library from the DDX318BT head unit. Also charge while your phone is connected. Just wondering if this will fit a 2015 Vivaro CDTI 120 ECOFLEX BITURBO 2900? If so any adapters required? Does this unit have full steering wheel controls? The DDX318BT does support steering controls. Hi will this fit in my Ford Focus style 2009? Will I need additional attachments? The DDX318BT can be installed in your Ford Focus. You will need the following accessories for installation. yes it will fit into your car, you will however require some additional parts to change the radio depending on the colour of your original radio. Will this fit my 2007 Corsa d? The DDX318BT can be installed in your Vauxhall Corsa. You will need the following accessories for installation. The DDX318BT can be installed in your Ford Fiesta. You will need the following accessories for installation. What fitting kits would i need to instal this unit please. 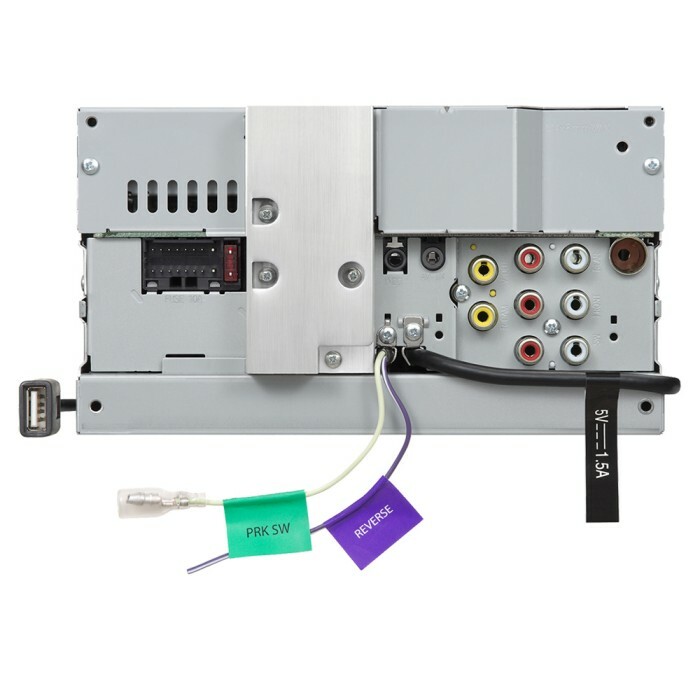 we do sell the CTKVW01 which will work from 2009 to 2014 if yours has the older square radio then you require different parts. Hi can you please let me know what fitting kit I need. I have the Ambiance model with double din stereo and stalk controls also has phone microphone built in. You will need the below listed kit. does this fit my land rover and if so do I need any extra fittings to instal it? the radio in the Ford Focus can be changed, depending on the year of your vehicle you will require some accessories to do so. Hi would this fit. Could you tell me what fitting kit is required,and would in need a fascia kit. The DDX-318BT can e installed in your VW Polo. You will need the below listed accessories for installation. You will need the below listed harness for installation.